A 360º approach to being well. Karen has over 15 years of experience working in women’s health. She graduated from the University of Wisconsin-Madison with a Master’s Degree in Science as a Nurse Practitioner of Women’s Health. she has worked in multiple areas of healthcare ranging from cardiac to obstetrics and gynecology. she has helped establish and manage healthcare practices primarily in the chicago area where she has practiced for the last ten years in a busy woman's health practice. she was co-director of an integrative health center and started a successful weight loss clinic. She is passionate about meeting each patient's healthcare needs using the modalities that best fit each person’s culture and beliefs. Karen has a special interest in holistic health, complementary and alternative medicine, bio-identical hormones, adolescent women’s health, menopause, vulvodynia and many other women’s health issues. Philosophy of Care: To enhance the lives of the individuals I care for by guiding them to reach an optimal level of wholeness in all aspects of their lives. I believe it is essential to utilize several modalities of healthcare to reach this optimal level of wholeness. 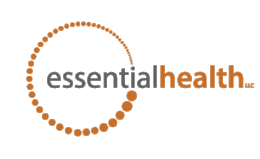 Karen opened Essential health, llc, a boutique integrative wellness practice in madison in 2014.